First graders are active not only in learning number facts to ten and twenty but also building "number sense" by using manipulatives, pictures and other supports to better understand numbers. For children with disabilities, they need extra time to learn number sense. It needs to be paired with lots and lots of use of manipulatives. They also need to be discouraged from using their fingers, which will become crutches when they are in second or third grade, and expected to regroup for addition and subtraction. CCSS Math Standard 1.OA.6: Add and subtract within 20, demonstrating fluency for addition and subtraction within 10. Use strategies such as counting on; making ten (e.g., 8 + 6 = 8 + 2 + 4 = 10 + 4 = 14); decomposing a number leading to a ten (e.g., 13 – 4 = 13 – 3 – 1 = 10 – 1 = 9); using the relationship between addition and subtraction (e.g., knowing that 8 + 4 = 12, one knows 12 – 8 = 4); and creating equivalent but easier or known sums (e.g., adding 6 + 7 by creating the known equivalent 6 + 6 + 1 = 12 + 1 = 13). Look at numbers as sums including five: Have students make the numbers to 10 and write them as composites of 5 and another number: i.e. 8= 5 + 3. Look at numbers in the context of ten. In other words, how many do you need to add to 6 to make ten? This will later help students decompose addition greater than ten: i.e. 8 plus 8 is 8 plus 2 plus 6, or 16. Make ten frame cards with the attached pdf, running them on card stock and laminating them for durability. Use round counters (these are two sided, red and yellow)though any sort of counter will do: teddies, dinosaurs, lima beans or poker chips. 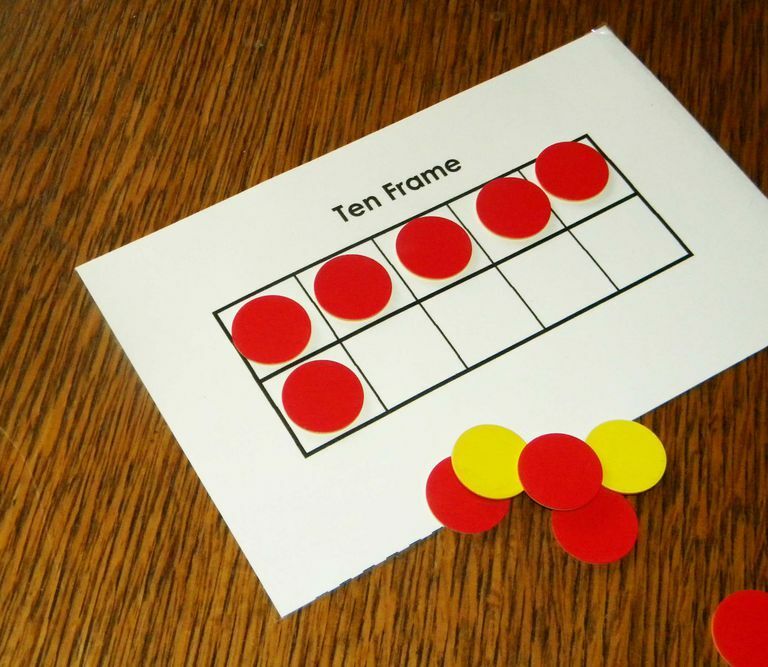 I've also created some free printable worksheets to give your students practice seeing and identifying the numbers on the ten frame. You can find them here. 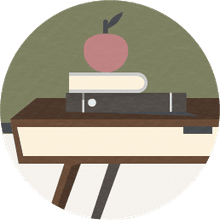 Give your students lots and lots of practice!